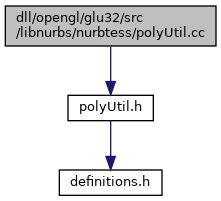 Definition at line 43 of file polyUtil.cc. Referenced by pointLeft2Lines(), and pointLeftLine(). Definition at line 78 of file polyUtil.cc. Referenced by MC_partitionY(), and partitionY(). Definition at line 64 of file polyUtil.cc.